A great way to get to the WSOP this year is with Littlewoods Poker. Their deal steps above the standard WSOP packages found at many other poker rooms. The package offers players a $10,000 seat to the main event and $2,000 in cash for travel and spending. However, Littlewoods Poker will also pay for your hotel stay. The longer you last in the main event, the longer they pick up the accommodation bill. This is a massive extra for players qualifying at Littlewoods. Route 1 - Through a weekly super satellite with one WSOP seat guaranteed. You can enter this tournament by paying directly for $500+$30 or by qualifying through satellites. Every day Littlewoods are holding a $10+$1 satellite into the weekly super sat'. Double shootouts also run from Monday to Saturday. Route 2 - Through a 10 seater double shootout. These tournaments are $170+$15 and offer 1 seat guaranteed. You can get in by paying directly, of course, or by winning a $25+$2 SNG. $10+$1 double shootouts are also running, guaranteeing 4 seats into the $170+10 event. Route 3 - Through a 6 seater double shootout. These tournaments are $450+$30 and guarantee one seat. As well as paying directly, players can qualify by finishing in the top 2 in a $40+4, 6 seater double shootout. Another reason to sign up and play at Littlewoods is the fantastic £100 monthly bonus. Players that sign at Littlewoods through UK Poker News can earn the bonus cash after collecting MPPs. Earn 250 MPPs for the first £25, 250 more MPPs for the next £25 and finally 500 MPPs for the last £50 cash bonus. This is an on-going monthly bonus and one which, we think, is very easy to earn. Ed note: Littlewoods Poker can take you to the WSOP and pay ALL your hotel costs. 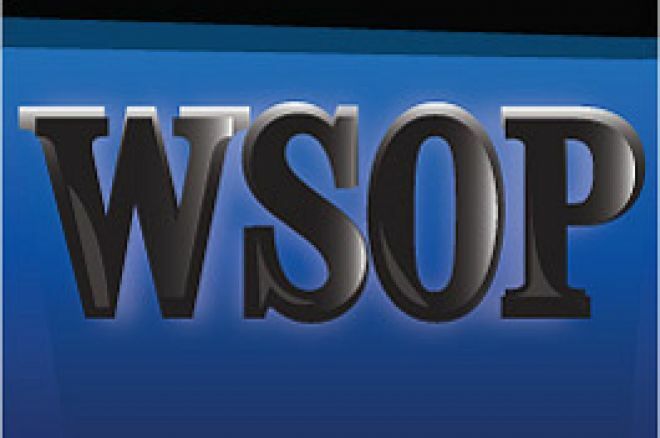 UK Poker News is the home of WSOP satellites check out our WSOP Freerolls for more great value satellite options.